EDINA, Minn. – ABDO (abdobooks.com), a leading educational publisher, launches a new division, Pop!, featuring free, web-enhanced 4D nonfiction. This new division, geared toward kindergarten to third grade readers, will provide web-based content to supplement each nonfiction title. Every book is embedded with multiple QR codes* that link directly to videos, activities, booklinks, and more. If QR code scanners are not available, readers can use the unique website address printed in each book to discover these free, fun features. Each title also contains an in-book and online Making Connections section, prompting readers to make connections from what they are reading to three different concepts: their self, another text, and the world. Additionally, educators will find Teacher Resources for each title on their respective webpages. Cody Koala is the first Pop! imprint, featuring eight new series. 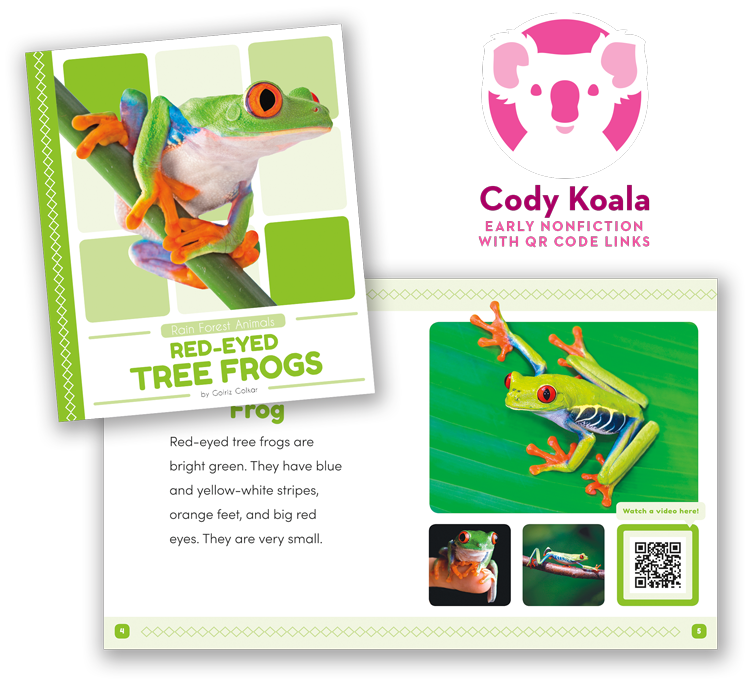 With Cody’s QR codes,* young readers will explore a variety of interesting and important concepts: Community Economics, Community Workers, Founding Fathers, Rain Forest Animals, Sports’ Greatest Superstars, 21st Century Inventions, US Symbols, and Weather Watch. These series will be available in August 2018. *Scanning QR codes requires a web-enabled smart device with a camera and a QR code reader app. ABDO has been a leader in children’s educational publishing for school and public libraries since 1985, providing high quality nonfiction and fiction titles for children and young adults in grades PreK–12. The company is known throughout the industry for its excellence in both reading materials and customer service. For more information, visit ABDO online at abdobooks.com.